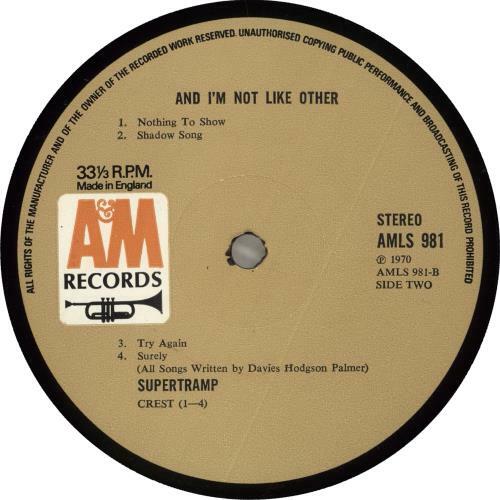 SUPERTRAMP Supertramp (Rare 1970 UK 1974 11-track LP on the tan A&M label bearing the alternate title 'And I'm Not Like Other' with A1/B1 matrices, fully laminated picture sleeve. The sleeve is Excellent with only very gentle age wear to the laminate, with no writing, seam splits or tears, whilst the vinyl has been professionally cleaned & grades somewhere between Excellent & Near Mint, showing just a few faint signs of play. 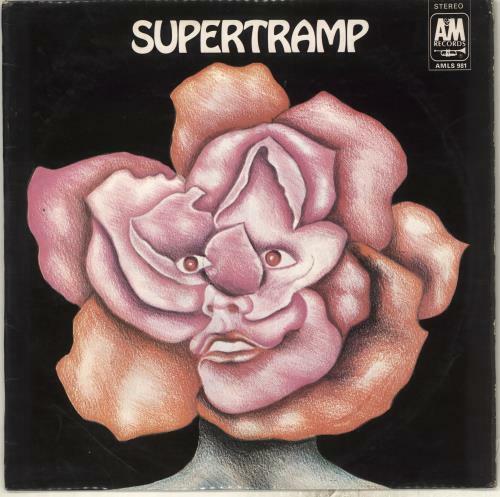 The album was soon deleted due to lack of sales & did not resurface until a few years later when the band finally gained the recognition they deserved, leaving these initial pressings few & far between. A fantastic copy & only the second we have seen of this sought-after original pressing! AMLS981).